Button enhances standard form elements like buttons, inputs and anchors to themeable buttons with appropriate hover and active styles. When using an input of type button, submit or reset, support is limited to plain text labels with no icons. Note: The button widget was rewritten in 1.12. Some options changed, you can find documentation for the old options in the 1.11 button docs. This widget used to bundle support for inputs of type radio and checkbox, this is now deprecated, use the checkboxradio widget instead. It also used to bundle the buttonset widget, this is also deprecated, use the controlgroup widget instead. 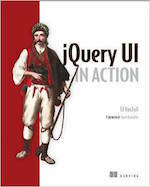 ui-button: The DOM element that represents the button. This element will additionally have the ui-button-icon-only class, depending on the showLabel and icon options. ui-button-icon: The element used to display the button icon. This will only be present if an icon is provided in the icon option. ui-button-icon-space: A separator element between icon and text content of the button. This will only be present if an icon is provided in the icon option and the iconPosition option is set to "beginning" or "end". Disables the button if set to true. Icon to display, with or without text (see showLabel option). By default, the icon is displayed on the left of the label text. The positioning can be controlled using the iconPosition option. The value for this option must match an icon class name, e.g., "ui-icon-gear". When using an input of type button, submit or reset, icons are not supported. Where to display the icon: Valid values are "beginning", "end", "top" and "bottom". In a left-to-right (LTR) display, "beginning" refers to the left, in a right-to-left (RTL, e.g. in Hebrew or Arabic), it refers to the right. HTML to show in the button. When not specified (null), the element&apos;s HTML content is used, or its value attribute if the element is an input element of type submit or reset, or the HTML content of the associated label element if the element is an input of type radio or checkbox. When using an input of type button, submit or reset, support is limited to plain text labels. Whether to show the label. When set to false no text will be displayed, but the icon option must be used, otherwise the showLabel option will be ignored. Removes the button functionality completely. This will return the element back to its pre-init state. Retrieves the button&apos;s instance object. If the element does not have an associated instance, undefined is returned. Unlike other widget methods, instance() is safe to call on any element after the button plugin has loaded. Gets an object containing key/value pairs representing the current button options hash. Sets the value of the button option associated with the specified optionName. Sets one or more options for the button. Refreshes the visual state of the button. Useful for updating button state after the native element&apos;s disabled state is changed programmatically. 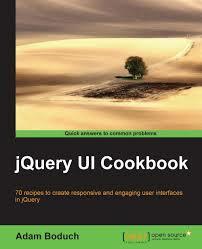 Returns a jQuery object containing the element visually representing the button. Triggered when the button is created.